Tucked away in the Chianti wine district, between Monte Masso and Monte Muro, is the village of San Polo in Chianti, a hamlet of Greve in Chianti, at just 16 kilometres (10 miles) from Florence. Renowned for its centuries-old iris farming, exported all over the world for manufacturing perfumes and cosmetics, San Polo holds an International Iris Festival every May. 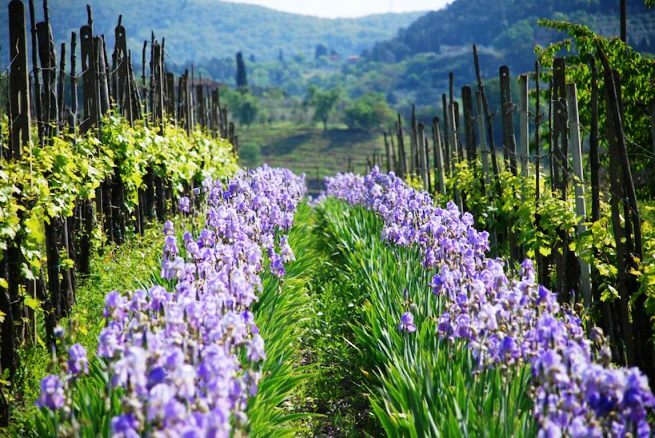 In Spring the blue blossoms cover the Chianti hills in a breathtaking display. 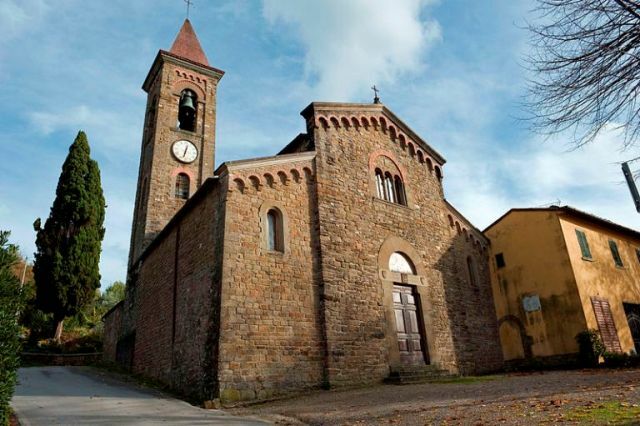 From the centre of San Polo, a road winds up the hill towards the Val di Rubbiana, where one encounters a small gem of Romanesque architecture, the Pieve di San Miniato di Rubbiana. Evidence of its existence goes back until 1015. Inside the church has three naves, square pilasters, a raised chancel and a semicircular apse. There is still a plaque commemorating an ancient reconstruction and the consecration of the church which took place in 1077. 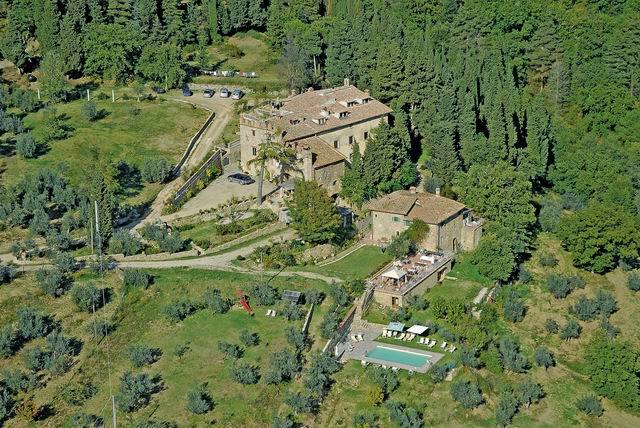 Just farther up the road is a beautiful castle with holiday flats and a remarkable view over the Chianti valley. The origins of this castle go back to ancient Rome. A Roman centurion, in fact, received this land as a retirement settlement and built a house on one of the hills. During the Middle Ages, the property came into the possession of one of the noblest Florentine families who transformed the house into one of their many castles. During this period was built the oldest part of the building, today still standing. In the nineteenth century, now property of counts, the house was renovated and turned into a hunting lodge, since the lands surrounding it were not only abounding in vineyards but also game. On the premises there is also a restaurant, actually located in the oldest part of the villa where once the wine was left to age in large chestnut barrels. The restaurant is exclusively reserved for the villa’s guests and offers typical Tuscan dishes. Surrounded by the brick vaulted ceilings and stone walls, visitors will enjoy homemade pasta, game and much more, strictly prepared by the hosts who offer cooking lessons both here and, during the closing period, all over the world. Moreover, the beautiful location and its breathtaking backdrop, plus the excellent cuisine, make this villa a perfect setting for a wedding. 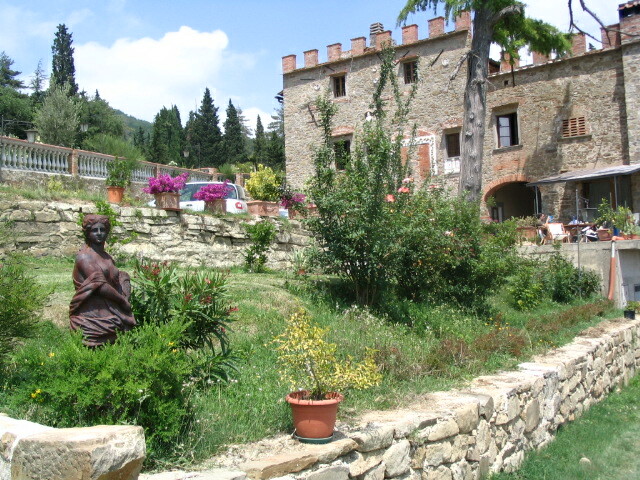 Questa voce è stata pubblicata in Accommodations in Tuscany, Castles in Tuscany, Culture and accommodations in Tuscany, Tuscan food and wine, Tuscan lifestyle, Villas in Tuscany e contrassegnata con Accommodations in Chianti, Chianti, Florence, Greve in Chianti, San Polo in Chianti, Tuscany. Contrassegna il permalink.